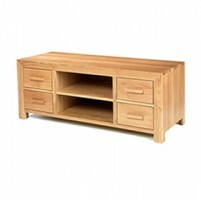 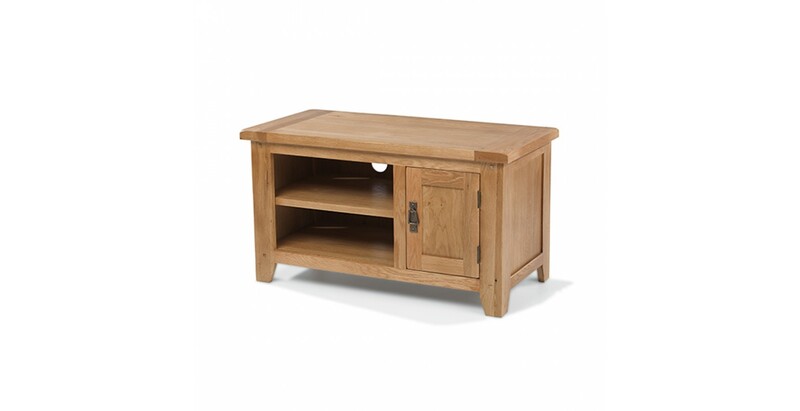 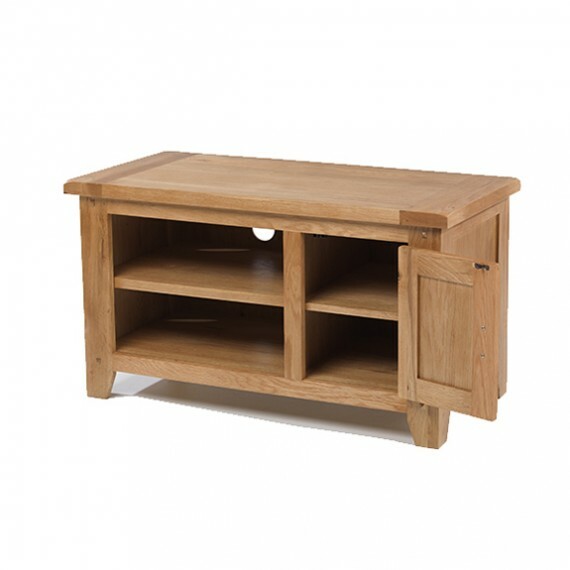 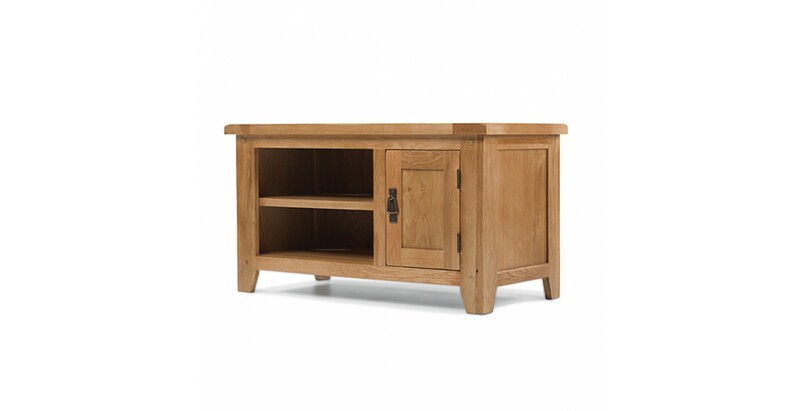 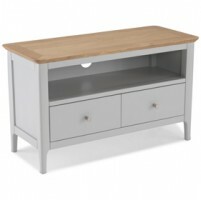 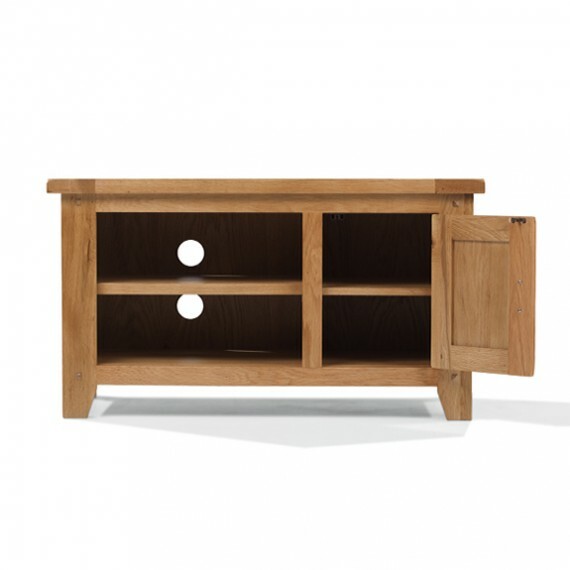 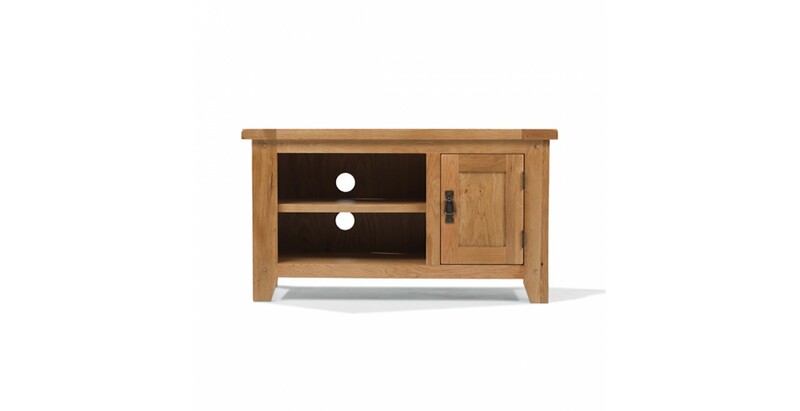 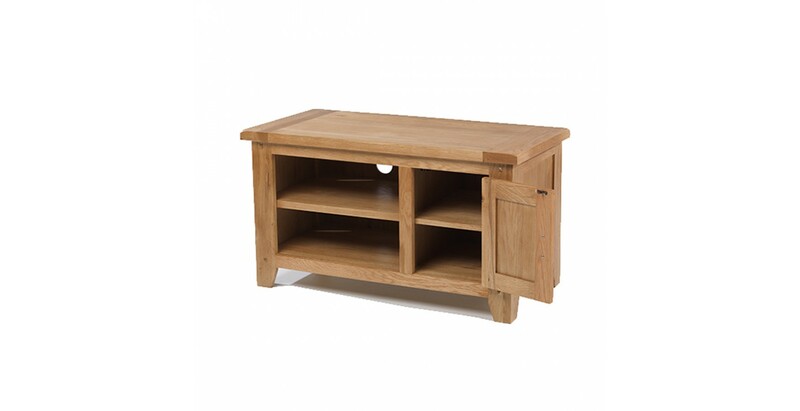 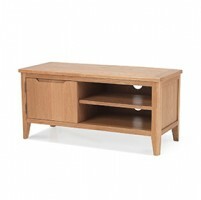 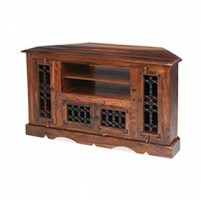 Whatever you like to watch on the TV, we like to think that the rustic charms of this reassuringly solid oak unit will enhance your viewing pleasure. 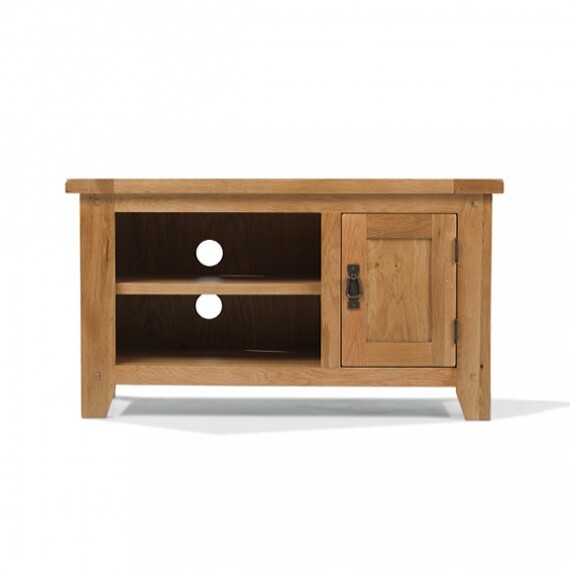 The chunky top with softened corners will hold your TV, while the two open compartments will take care of all your media devices. 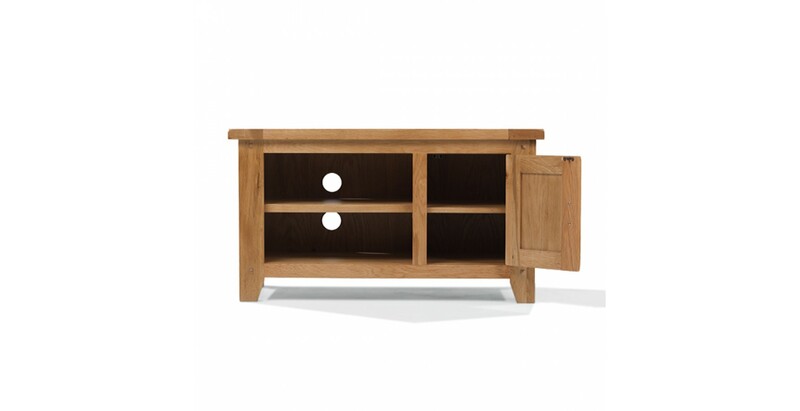 In addition, there's a useful cupboard where you could hide away spare remotes, batteries and other bits and pieces and cut-outs in the back of the unit will carry away unsightly cables. 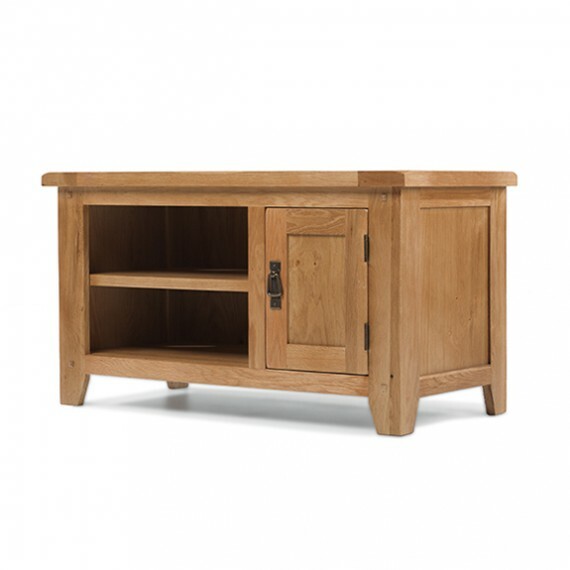 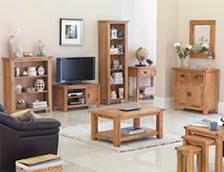 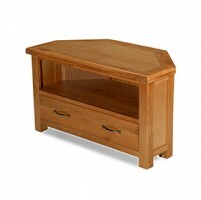 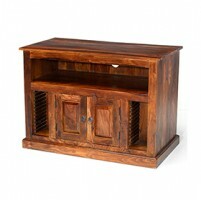 The natural lacquer finish highlights the rich grain and brings out the homely warmth and beauty of the timber.